Join us in the effort to help those affected by the recent Northern California Fires. THE FLAMES MAY HAVE SUBSIDED BUT THE NEED FOR HELP HAS NOT. WE STAND TOGETHER, NOT AS A COMPETING WINE REGION BUT AS ONE.... UNITED! In the wake of the devastating wildfires in Napa, Sonoma and Mendocino Counties, many of us are looking for meaningful ways to contribute to the recovery effort. Answering the call to help, local leaders from our local community have joined forces to bring a culinary and wine experience not to be forgotten. Join us on Dec 8th, 2017 at Oyster Ridge event site in Santa Margarita, CA, for a multi-chef family style feast prepared by Top Chef star Chef Dakota Weiss of Estrella in Hollywood, CA, Chef Spencer Johnston and Chris J. Batlle of Monger and the Chef a popular pop-up concept on the Central Coast and Chef Mateo Rogers & Brittney Yracheta of Heirloom Catering. The event will feature a bubble & oyster bar, cheese & charcuterie bar, live music, a wine bottle-share tasting and silent auction. The Feast: A multi-chef collaborative family style dinner. The Wine: Each guest is asked to bring 1 bottle of special wine to share with everyone. Lannon Rust will be stocking the bottle-share table with numerous high-end wines and magnum bottles for all to enjoy and share. Arrive at 6:00 pm to be the first to taste. Bid: Guest will have the chance to bid on a variety of high-end wines, wine tasting experiences and other goods and services. 100% of the auctions proceeds will go to the 3 foundations listed below. Music: Ray Chang - Ray Chang’s ensembles have a unique blend of classic, modern day jazz. MC: Local celebrity Adam Montiel of 92.5 and The Cork Dorks. Can't Attend But Still Want To Support The Cause? Since being named "Best New Chef" by Angeleno magazine in 2006 as the Executive Chef at Jer-ne at the Ritz-Carlton Marina Del Rey, Dakota Weiss has become tour-de-force in Los Angeles' culinary community. In 2011, Dakota appeared on Bravo's "Top Chef Texas," while that same year she joined forces with Alan Nathan of Choice Hospitality Group, who recruited Dakota to helm its W Los Angeles – Westwood restaurants NINETHIRTY and The Backyard. In 2013 she opened Dakota's POP Parlor, her own brand of innovative gourmet popcorn—recognized by Food Network as one of the "Top 30 Popcorns to Try in America" and CBS Los Angeles as "Best Popcorn in LA." 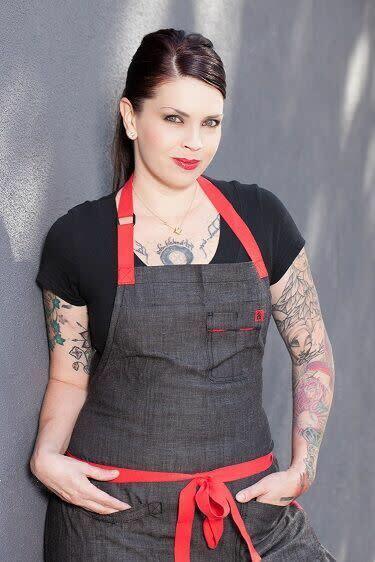 In early 2015, Dakota became the founding consulting chef and part owner of Choice Hospitality Group's Sweetfin Poké, which since opening has been honored to receive widespread critical and popular acclaim, touting the all-raw fish, casual dining concept featuring California-spun Hawaiian soul food in Santa Monica, CA. Most recently, Dakota debuted Estrella, located in the heart of the Sunset Strip and inspired by the bohemian rock-and-roll days of Laurel Canyon in the '60s and '70s. Dakota's menu contributes to the restaurant's atmosphere of "hippie home" by focusing on shareable items, including small plates and family-style dinners. "A Central Coast Seafood Dining Experience"
Chef Spencer Johnston (aspiring fish monger & former Exec. Chef at Grenada Bistro, Full of Life Flatbread and Wine Cask) and Fish Monger Chris Batlle (aspiring chef) bonded because of their mutual love of cooking with the amazing bounty from their local farmers and fisherman. Due to popular demand from friends and family, Chris and Spencer have decided to share their passion with the public and host a series of pop up dinners at unique locales around the county; and so was born - The Monger and the Chef. Heirloom Catering is owned and operated by chef duo & couple Chef Mateo Rodgers and Chef Brittney Yracheta. dedicated to providing exceptional seasonal food and service that will enhance your next event. Utilizing the bounty of local central coast farmers gives us the unique ability to offer local and sustainable produce and meat products. Not only can Heirloom Catering meet your every food need, we specialize in wood fire cooking that allows guests to interact with the chefs. Contact Heirloom Catering for your next special event, be it a wedding ceremony, winery pick up party, birthday or private dinner. We here at Heirloom Catering are ready to deliver you the best experience for you next event.